Christchurch City Council has set itself a target of becoming net carbon neutral by 2030. The target was set by the Council at its meeting today and reflects its commitment to being part of the global effort to reduce greenhouse gas emissions. The Council has also asked staff to work with the Innovation and Sustainable Development Committee on strategies and a framework for setting a target of Christchurch being net carbon neutral by 2050. “The Council needs to take a strong leadership role on this," says Councillor Vicki Buck, who chairs the Innovation and Sustainable Development Committee. “New Zealand’s carbon emissions continue to rise and we need to take action. 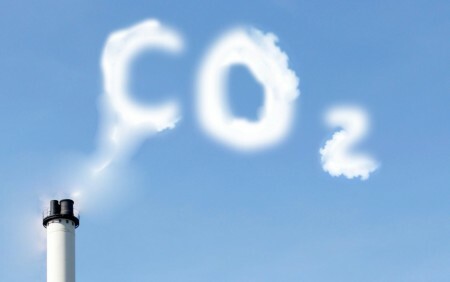 “We are facing huge threats from climate change and we need to do all we can to reduce the amount of CO2 we are pumping into the atmosphere," Councillor Buck says. “As a Council we’ve decided to set ourselves a target of becoming carbon neutral by 2030 and we’re inviting the other Councils around Canterbury to adopt the same target." The Council emitted an estimated 13,283 tonnes of carbon dioxide equivalent (CO2e) in the 2015/16 financial year. Preliminary Christchurch data estimates indicate that in the 2016/17 financial year greenhouse gas emissions for the city amounted to 2.9 million tonnes of CO2e. That equates to 7.8 tonnes of CO2e per person. Council Head of Strategic Policy Helen Beaumont says various initiatives are under way to reduce greenhouse gas emissions from Council’s activities. and this will be an on-going focus for Council. Those initiatives include the 100% battery electric car sharing scheme, work to replace street lighting with LEDs, and an energy efficiency programme of work. Earlier in the year Council was recognised by achieving Energy-Mark Gold certification and CEMARS certification which demonstrates Council’s energy management and greenhouse gas management work. “In the foreseeable future it is unlikely Council will be able to avoid emitting greenhouse gases entirely. However, if we offset our emissions through options such as buying carbon credits and planting more trees, it is possible for the Council to achieve its goal of becoming net carbon neutral, but there will be a cost involved," Ms Beaumont says. Pubudu Senanayake from Generation Zero praised the Council at the start of today's Council meeting, for the efforts it was taking to reduce its carbon emissions and congratulated it on its leadership. "Cities have a unique opportunity, and a moral responsibility, to lead the charge here," Mr Senanayake said. "Christchurch should be at the forefront of that charge."